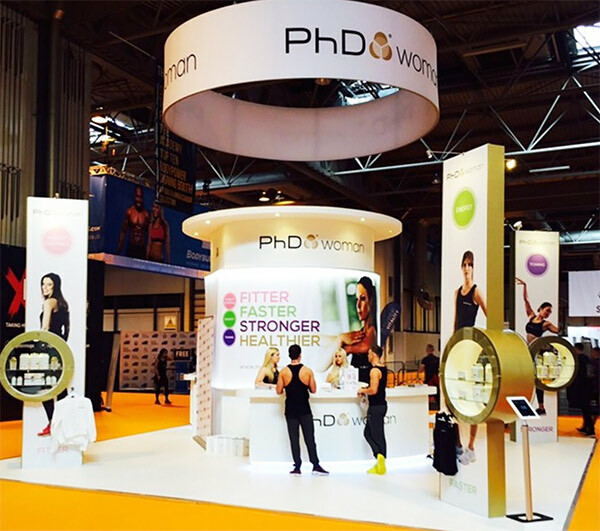 8 Ways to Add Impact To Your Exhibition! 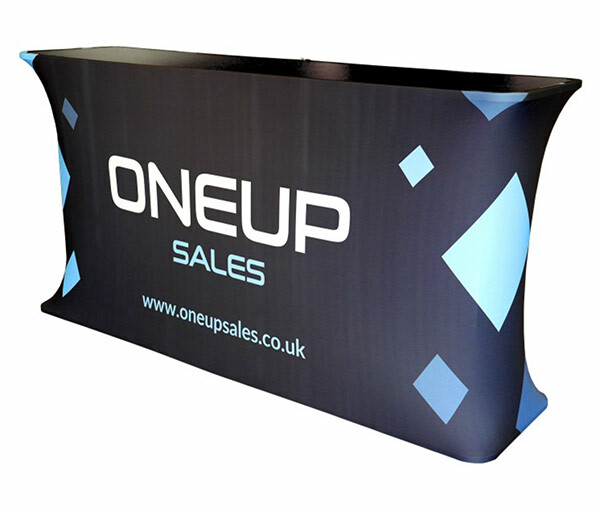 If you’ve followed our guides on pop up stands and fabric stands, you’ll already be looking sharp and ready for the show. But just how to make the most out of that stand and space? This post will throw a few exhibition accessories into the mix to help you raise your game even further. Exhibition stand accessories can be broken down into two types – ones that grab attention and ones that perform a function. Now I’m not saying that the ones that are all about function can’t be eye-catching too, it’s just that for them, they’ve got a job to do first! If you’re adding an element to your exhibition stand and it’s going to take up some of the floor, it needs to pay for itself in usefulness over the three or four days. The first stand accessory that is more of a necessity than an add-on is the counter. We’ve got a wide range that covers every requirement on our main page here. 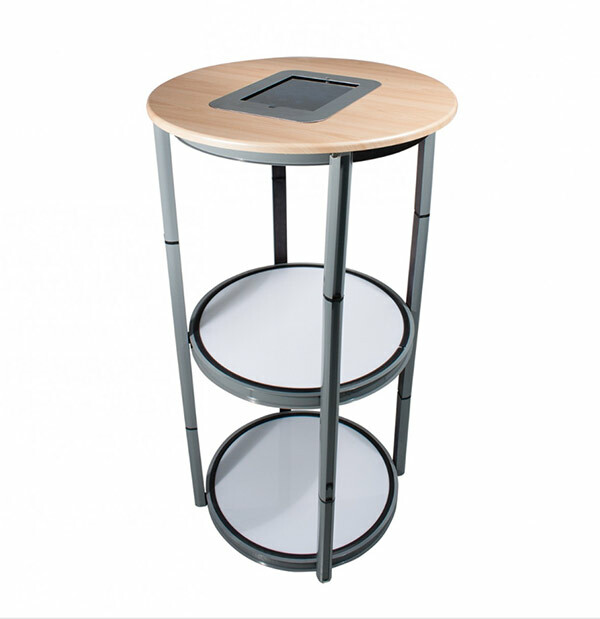 A Pop Up Counter like the Eurostand is ideal for somewhere to place literature, a laptop or just to take down client information. Simple to erect and super stable in use, Pop Up Counters are available curved, straight and with shelves and racks to hold collateral. Most of them can integrate graphic panels for extra branding opportunities and many of them have storage built in like the Expolinc Case & Counter. The Spiral Display System is a clever little unit that folds down to a single wheeled case for transporting around and storage. 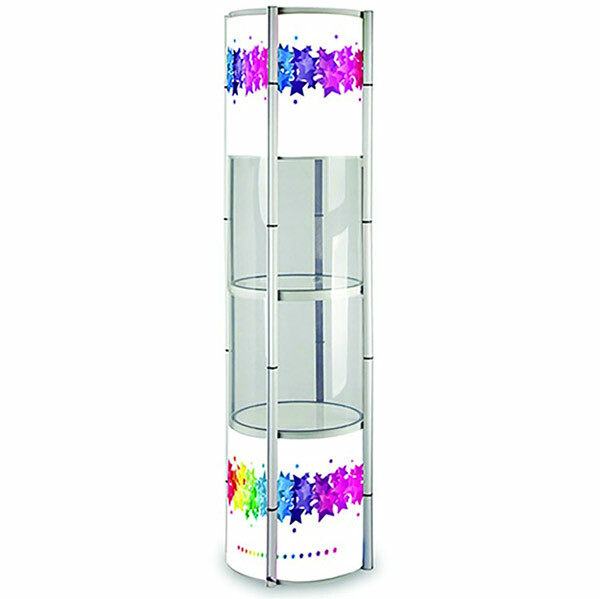 When in use, it simply ‘pops up’ to create a 4 level display case for presenting your products. It includes a built-in downlighter and the windows of the unit can also be branded to really bring focus to what’s inside. There’s also a smaller plinth version that has two levels and the option for an iPad mount. 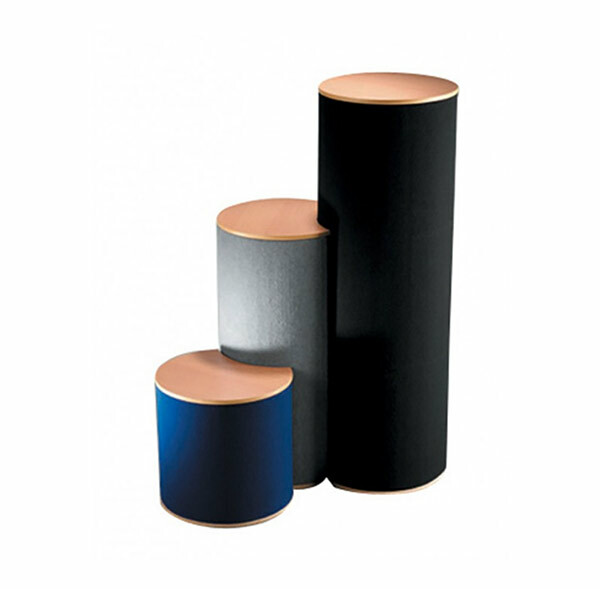 The Physique Freestyle Multi-Height Nest Plinth is designed to showcase your products in an individual and engaging way. 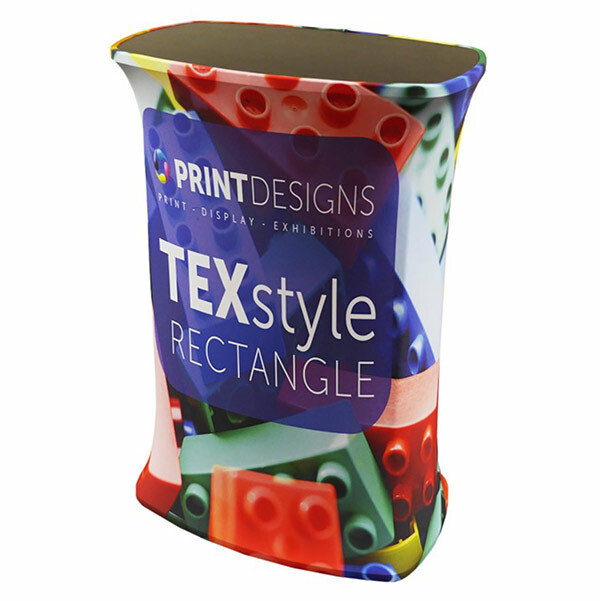 With three levels, multiple tabletop diameters, and a choice of fabric wraps, its a cost-effective way to present whilst still keeping you that bit more distinctive compared to the other exhibitors. Info on all the Physique Freestyle options is here. An addition that really changes the dynamic of the stand is the Formulate Meeting Pod. Not only does it give you somewhere private to step out of the main stand with a client and talk, but it also adds an impressive second area in the simplest of ways. The Pod can be fully branded to either fit in with your main display or with a bit of creative flair, take on a life of its own. More info on the Formulate Meeting Pod is here. The Formulate Circle Hanging Structure sits above your stand like a visual sentry letting everyone know where you are and how to find you. Imagine the Goodyear blimp sat over you in the exhibition hall or even better, how about the bat signal!? It’s an impressive and eye-catching accessory that is guaranteed to put your brand head and shoulders above everyone else. For information on the Formulate Circle Hanging Structure, our product page is here. Designed to span the stand to create a focal (and discussion) point is the Formulate Arch. Available in either 2.7m or a huge 6m, this easy to assemble structure will make your stand the one they all talk about. It adds a dramatic feel to any space and, of course, can be personalised and printed with any full-colour artwork. 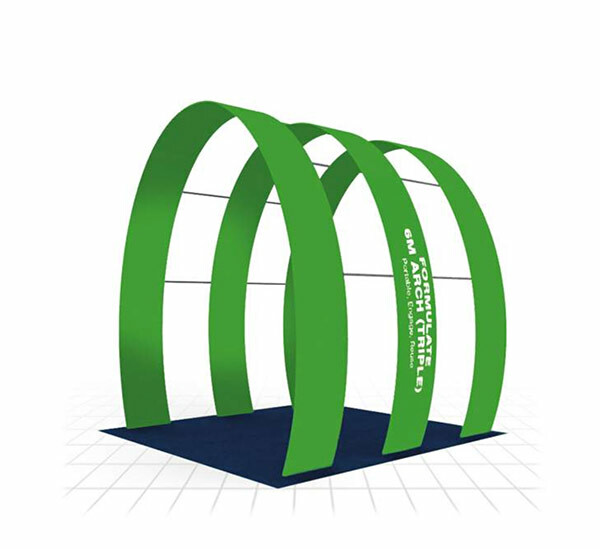 Your unique message adorned across this monumental arch will ensure that when it catches the eye, it makes a real on-brand statement. 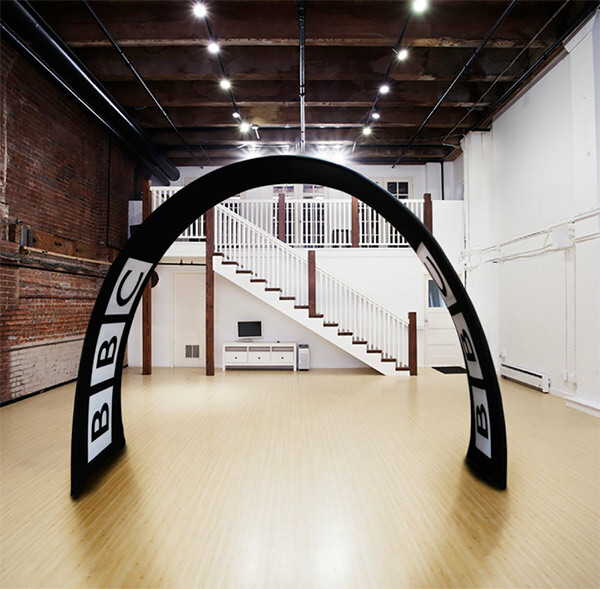 The 6m version even has an option for a triple archway just in case a single arch doesn’t have quite the impact your business deserves! Anything illuminated in the exhibition hall catches the eye. Take something that’s illuminated and make it different, then you’ve got a product that will stop people in their tracks. The Lantern Banner is exactly that. At 2m tall, imagine one of these sat at either end of your exhibition stand. With optional LED lighting, their unique shape plus the three-sided bespoke printed panels, these lanterns really are a surefire way to make your space stand out. 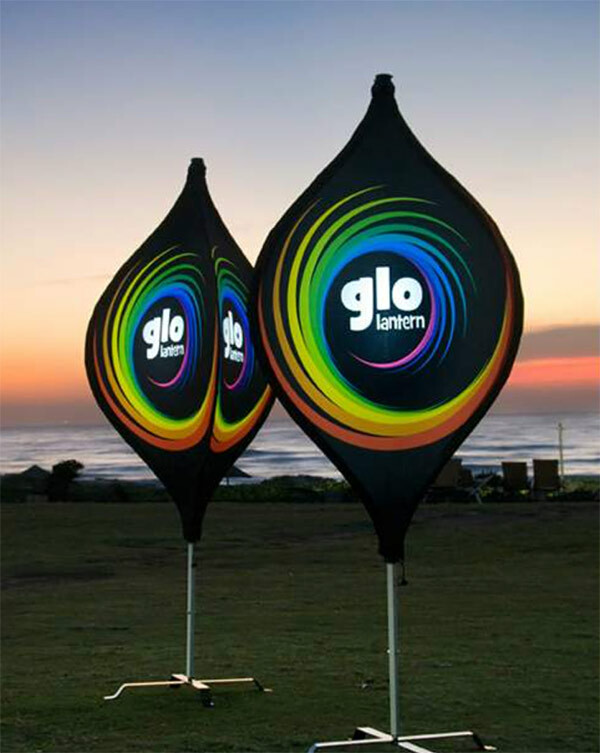 After the show, they can even be used outside your business premises! Finally, our all new LED Scroller Banner can take your message and put it up in lights. We wrote a post about the innovative LED roll up banner but as a quick recap, its as easily transported and erected as a standard banner stand but this one is capable of so much more. Pull the graphic panel out of the cassette and fix to the centre pole. 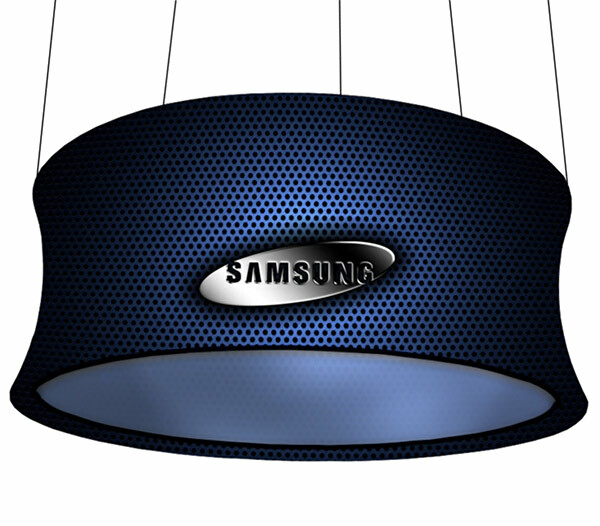 Take the intelligent LED screen and slide into the fabric sleeve. Program your message using the easy to use Android app and beam over using Bluetooth. Super bright, totally customisable and incredibly simple to use. 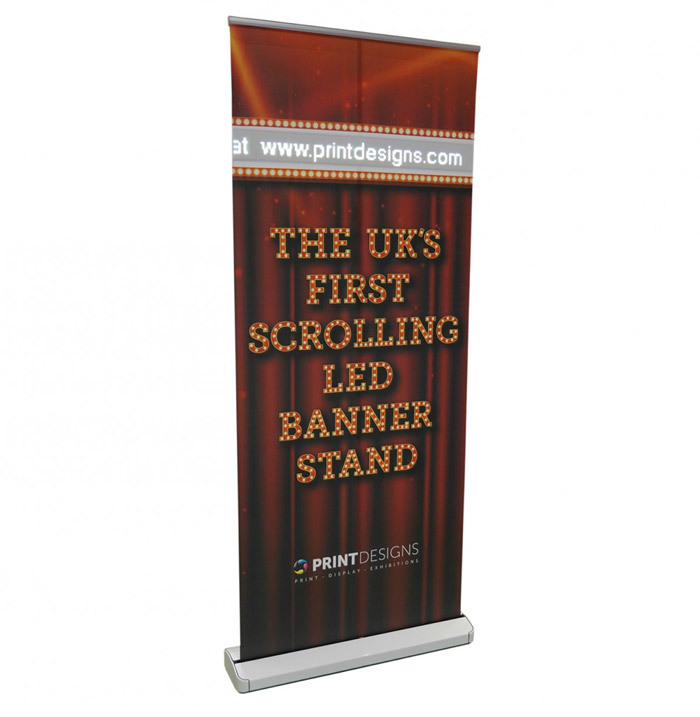 Exclusive to Printdesigns and brand new to the UK, the LED Scroller Banner could well be the exhibition accessory that your next show needs. 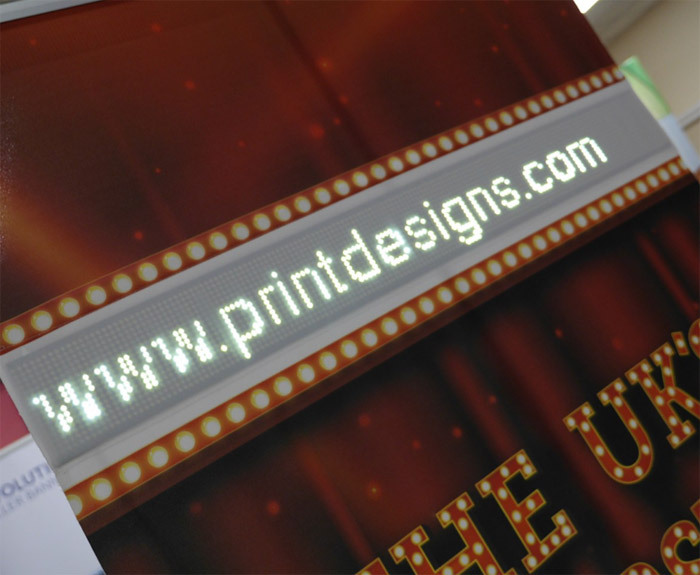 For info on the LED Scroller Banner, click here. We’re always on the lookout for innovative and imaginative additions to our exhibition and display ranges. Bookmark our page to be the first in the know when we add something new. Making a lasting impression in the exhibition hall can be a tough task. 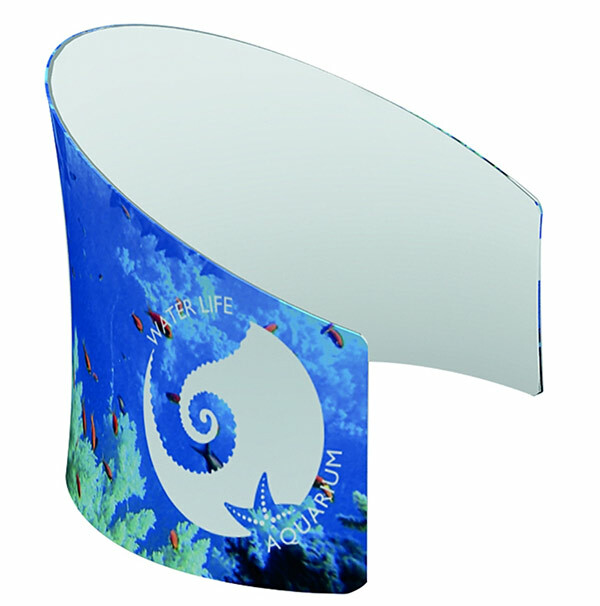 One of our exhibition accessories could be the element that puts you and your business in the spotlight. PS. 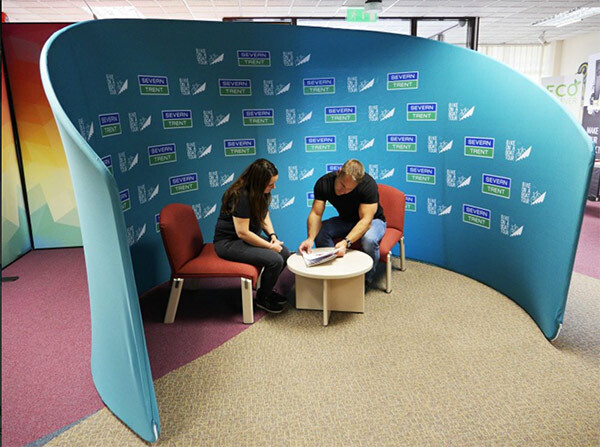 Looking for ideas on exhibition booths? Check out our guide to shell scheme graphics and more.